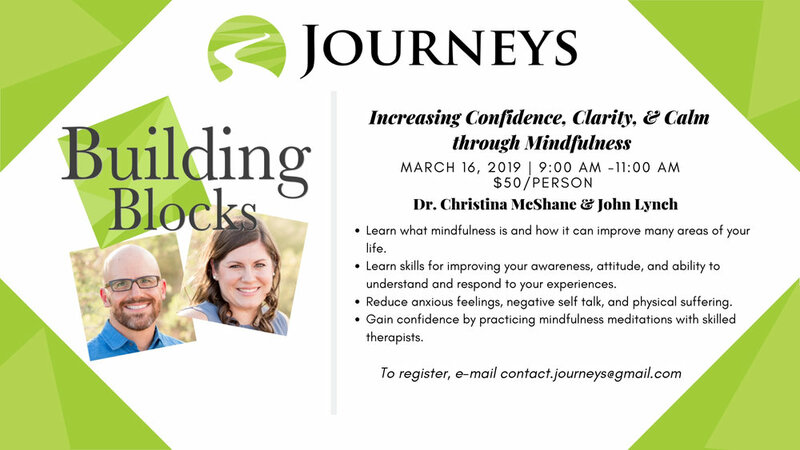 Join Dr. Christina McShane & John Lynch, as they teach about the benefits of Mindfulness! Learn what mindfulness is and how it can improve many areas of your life. Learn skills for improving your awareness, attitude, and ability to understand and respond to your experiences. Reduce anxious feelings, negative self talk, and physical suffering. Gain confidence by practicing mindfulness meditations with skilled therapists.